Workplace violence typically falls into one of four categories, according to the National Institute for Occupational Safety and Health. Specific workplaces are at risk for different types of violence, so identifying the type your company is most at risk for can help with planning. Type I: Criminal intent. In this kind of violent incident, the perpetrator has no legitimate relationship to the business or its employee(s). Rather, the violence is incidental to another crime, such as robbery, shoplifting, or trespassing. Acts of terrorism also fall into this category. In 2014, 31 percent of workplace homicides were perpetrated by robbers. The "other/unspecified" category, with 27 percent of workplace homicides in that year, may also include instances of criminal intent. Type II: Customer/client. When the violent person has a legitimate relationship with the business—for example, the person is a customer, client, patient, student, or inmate—and becomes violent while being served by the business, violence falls into this category. A large portion of customer/client incidents occur in the healthcare industry, in settings such as nursing homes or psychiatric facilities; the victims are often patient caregivers. Police officers, prison staff, flight attendants, and teachers can also become victims of this kind of violence. 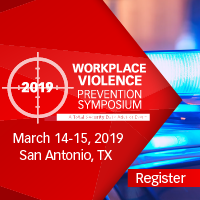 About 20 percent of all workplace homicides resulted from Type II violence in 2014, but this category accounts for a majority of nonfatal workplace violence incidents. Your workplace may be at risk for Type II violence if your business involves dealing with individuals such as criminals or those who are mentally ill or individuals who are confined and under stress, such as airplane passengers who have been sitting on the tarmac or customers waiting in long lines for a store to open. Type III: Worker-on-worker. The perpetrator of Type III violence is an employee or past employee of the business who attacks or threatens other employee(s) or past employee(s) in the workplace. Worker-on-worker fatalities accounted for approximately 15 percent of all workplace homicides in 2014. All workplaces are at risk for this type of violence, but workplaces at higher risk include those that do not conduct a criminal background check as part of the hiring process, or are downsizing or otherwise reducing their workforce. Type IV: Personal relationship. The perpetrator usually does not have a relationship with the business but has a personal relationship with the intended victim. 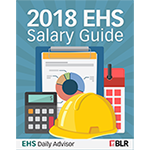 This category includes victims of domestic violence who are assaulted or threatened while at work and accounted for about 7 percent of all workplace homicides in 2014. This type of violence can occur in all workplaces but is most difficult to prevent in workplaces that are accessible to the public during business hours, such as retail businesses, and/or have only one location, making it impossible to transfer employees who are being threatened. Women are at higher risk of being victims of this type of violence than men.